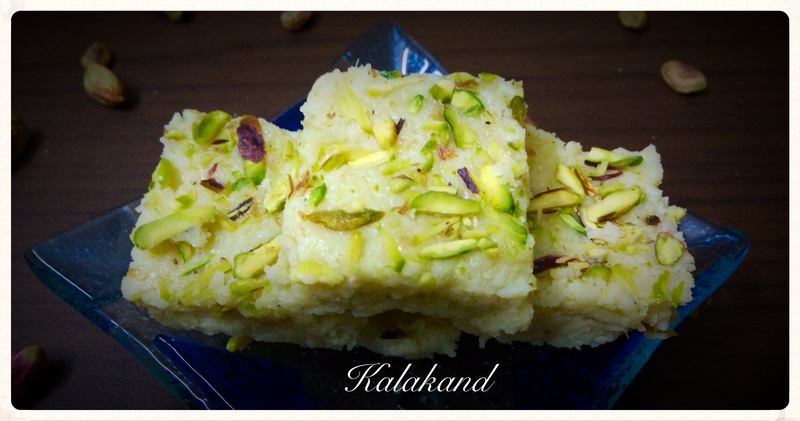 Kalakand- Popular Indian sweet made with Paneer/Cottage Cheese. 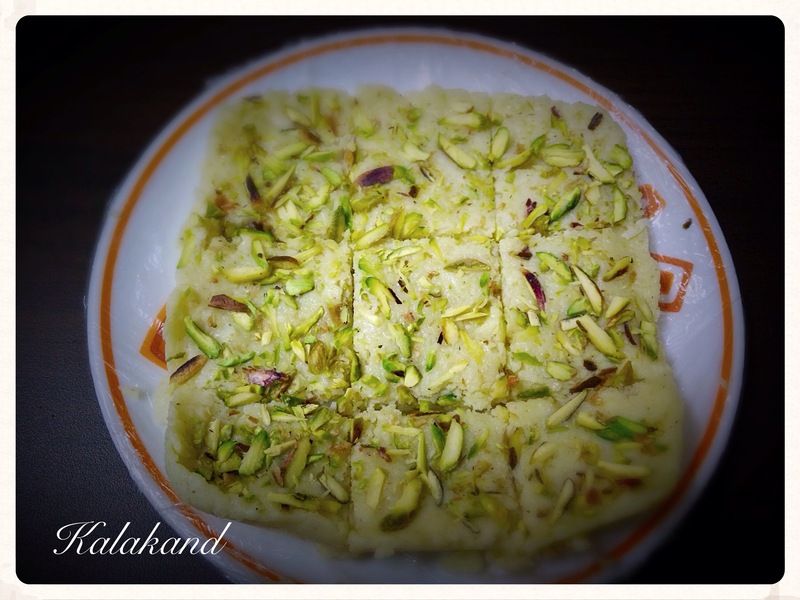 It is one of my husband’s favorite Indian sweets. I make only a few indian sweets at home and this recipe is frequently going to find its place in my kitchen. This dish has been prepared with only 5 ingredients and gets cooked within 5-6 minutes. Then, you have to keep it aside for a couple of hours so that it can set properly. Cardamom powder imparts a great flavor to this indian sweet. You can use rose water as a flavoring ingredient as well. One thing to make sure that kalkand tastes scrumptious is to use fresh and soft paneer/cottage chesse. Line a square box with a cling foil. Mix grated paneer/cottage cheese and milk powder along with condensed milk in a bowl. Transfer this mixture to a heavy bottomed pan / non-stick pan. Cook this mixture at low-medium flame till it starts to leave sides of the pan. It will take approximately 5-6 minutes. Sprinkle cardamom powder and mix. Transfer contents to the box(lined with cling foil) and spread it evenly. 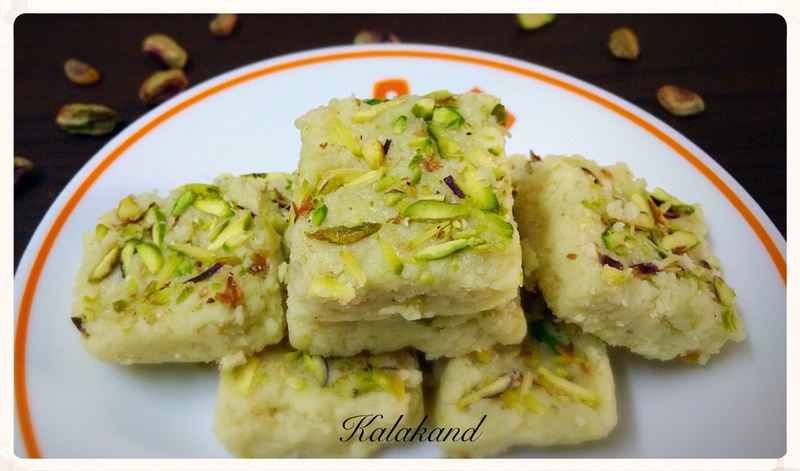 Sprinkle chopped pistachios and press them gently into kalakand mixture. Allow the mixture to cool down and set for a couple of hours.